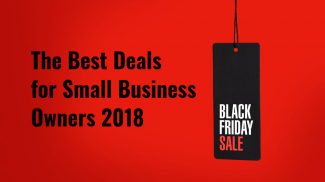 With the holiday shopping season approaching, small retailers are looking for any edge they can get over big-box stores and discount websites. Well, new data from A.T. Kearney’s Global Maturing Consumer study offers an edge you may not have thought of: catering to senior shoppers. But seniors uniformly say that retailers aren’t meeting their needs. Here’s why: Most retail shopping centers are focused on younger consumers who are busy with work and family and want to get in and out of stores quickly and efficiently. That’s not what older shoppers want. For seniors who are retired and may have little social interaction, shopping is an enjoyable, leisurely activity they want to prolong. They don’t like big stores, and they hate being treated impersonally. Seniors shop often: While younger consumers with busy schedules try to cram all their shopping into big weekend trips, seniors make more frequent trips. Two-thirds of respondents aged 70 to 80 say they shop twice a week or more. They typically shop on weekdays, and prefer to go in the mornings. Readable signage: Seniors felt that signage, prices and store directions were hard to read. Fifty-two percent of those in the 60-70 age group, 58 percent in the 70-80 group, and 66 percent of those over 80 say they can’t read labels clearly, even when wearing corrective lenses. While you may not control labels, you do control shelf signage and other elements, and you can make sure staff is available to help seniors read the “fine print” on product packaging. Friendly, well-trained staff: Seniors complain that stores are generally understaffed and, when they do manage to find a clerk, the staff is not well trained enough to help them. 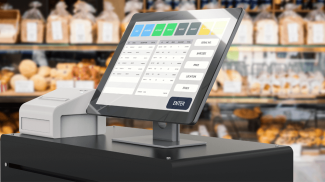 They also enjoy chatting with staff, so make sure your employees don’t rush them through checkout. Small size: Seniors prefer smaller stores with a well-edited selection of items. High quality: Seniors buy fewer items than other age groups but generally spend more per item. This holds true even for low-income seniors—they are more focused on quality than price, and are very brand-loyal. For higher-income seniors, there is a trend toward “trading up”—cutting back on quantity but buying higher-quality items, especially in the food, beverage and clothing categories. 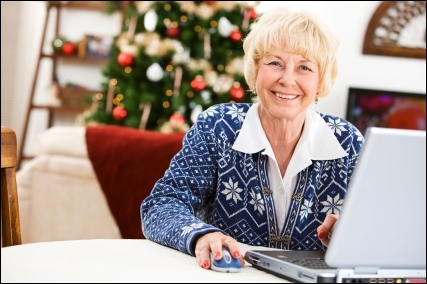 Online experience: Because seniors have the time to do lots of research before making a purchase, they are typically heavy Internet users. 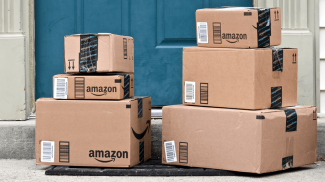 Half of survey respondents use the Internet, and 20 percent use it for buying or researching products, with the youngest, oldest and wealthiest groups the most likely to shop online. The same principles that apply to store signage and packaging also apply online: Make sure your website is easy to navigate, that fonts and color combinations are easy on older eyes, and that you post a phone number or other way to contact a live person prominently. Some of these findings may surprise you, while others may not. But either way, there’s a clear advantage for small retailers who can cater to senior shoppers’ needs and wants. With the way the media portrays seniors, you would think they are all broke and relying on social security to cover their basic needs. It’s good to see some solid research that shows they have a lot of spending power. It’s probably true that many business don’t consider the buying power of seniors. Thanks for the reminder! I posted this article to http://www.facebook.com/nametaginc. You’re right that too many businesses ignore this market. I would make it especially inviting for them to shop this holiday season. I just met a woman who told me she spends extra money on her grandkids to make up for the fact she couldn’t afford to spend that much on her kids years ago, because she was poor. I may have the opposite problem of overestimating seniors as my dad is always telling me how great they are (he is new to the club) haha. Seriously though, it’s an incredible market and small businesses, who should be providing a higher level of customer service anyway, have a real opportunity. Great post! One of the things I’ve noticed about a lot of seniors is that this recession thing doesn’t really have them worried. It’s sort of like a lot of us South Floridians get around hurricane season – nothing tops Hurricane Andrew of 1992. Many of them contend the recessions during the Ford and Carter administrations were worse – double digit inflation (from the end of 1979 to the , double digit unemployment, gas shortages, and far, far less opportunity than there is today. Frankly, they think the rest of the country is being a bunch of babies. As a market they generally tend to have more confidence because they’ve seen it all before. Whoops, accidentally submit that previous comment without finishing up a parenthetical – which was that from ’74 – ’75 and from early ’79 to Q3 of 1981, we had double digit inflation. Thanks Mark, That gives much-need perspective. We’re very lucky, as business owners and consumers that inflation as stayed so low. Another demographic that is basically missed by corporate executives, but gives entrepreneurs a chance to take advantage of the opportunities. Don’t forget mompreneurs, under the radar demographic as well. As an employee of a small “hometown” hardware store, I totally agree. Our interaction with all of our customers is one of the things we pride ourselves on. Don’t forget, all of these seniors have friends, families, and acquaintances to whom which they spread the word of their shopping experiences. Dear Rieva, I would like to reprint this article regarding Senior Shoppers in our local Chamber of Commerce Monthly Newsletter. May I have your permission to do so? If this is okay, may we continue to reprint other articles of yours? Your articles would be very helpful for our small business owners. Hi Cheryl, I have sent you an email on your request. Anita, I’m sorry, but I can not find your email from January 17, 2012. Can you please resend? Thank you.